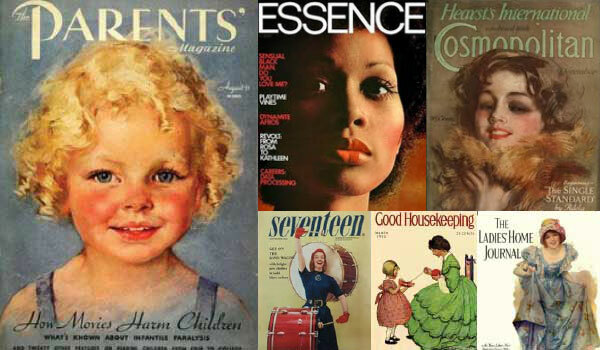 ProQuest have kindly allowed us to trial for a second time Women’s Magazine Archive I and II comprising archival runs of leading women’s consumer magazines of the 20th century which up till now have been difficult to locate and navigate. The magazines are all scanned from cover to cover in high-resolution color, ensuring that the original print artefacts are faithfully reproduced and that valuable non-article items, such as advertisements, are included. Among the research areas served by this material are gender studies, social history, economics/marketing, media, fashion, politics, and popular culture. The Library already subscribes to a variety of online resources that provide you with access to periodicals and magazines from different time periods, including American Periodicals, British Periodicals I and II, Country Life Archive, Harper Bazaar’sArchive, Nineteenth Century UK Periodicals and Vogue Archive. You can access these and others via the Databases A-Z list. This entry was posted in Library, Library resources, Trials and tagged advertising, databases, fashion, gender studies, magazines, marketing, online resources, periodicals, politics, popular culture, social history by spslibrarian. Bookmark the permalink.